In the beginning, as usual, was the word. In 1904, when Mohandas Gandhi boarded the train for Natal for what would have been just another dreary journey, his new friend Henry Polak thrust a slim volume in his hands. “The book was impossible to lay aside, once I had begun it. It gripped me,” Gandhi was to write later, describing “the magic spell of the book”. He instantly resolved “to change my life in accordance with the ideals of the book”. John Ruskin’s Unto This Last changed not only Gandhi’s life but the very foundations of the Indian freedom movement. For Gandhi, and his contemporaries, books and pamphlets, ranging from ancient scriptures to obscure 19th century tracts, provided the template that helped them make sense of the project they were undertaking. But for those books, the idea of India would have been different, however marginally. In turn, the founding fathers of the nation and others after them went on to pen their inspirations and aspirations, completing a ‘virtuous cycle’ and forging a veritable canon for us. Undeniably, the books of the founding fathers of our nation and the works of the likes of Premchand and Dinkar inspired countless people to join the freedom movement. In this Independence Day special edition, we present our pickings from the canon. When not one but two senior editors, both baptized in the JP movement, spoke the same words on different occasions – that “you must read X to understand India” (X being Gora plus Ghare Baire for one and Raag Darbari for the other), we thought it would be worthwhile to make a master list of readings that make the idea of India comprehensible. 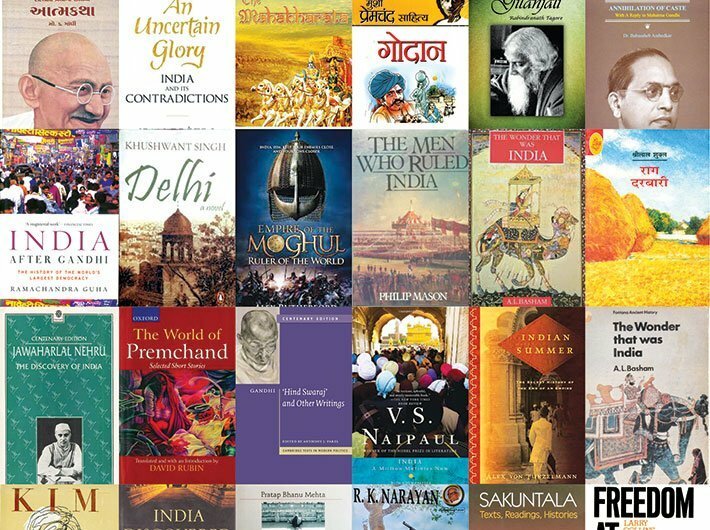 We turned to some of the most discerning readers of our times to name roughly five (or more, or less) books that they think best explain India – and have played a part in defining it, too. We are grateful to them. Who knows what it will lead to when one day, out of an understandable readerly enthusiasm, someone will thrust one of these tomes in the hands of a weary traveller and say “you must read this”?